Who Will Pay $300,000 for Hitler's Bunker Phone? Filed to: hallo?Filed to: hallo? 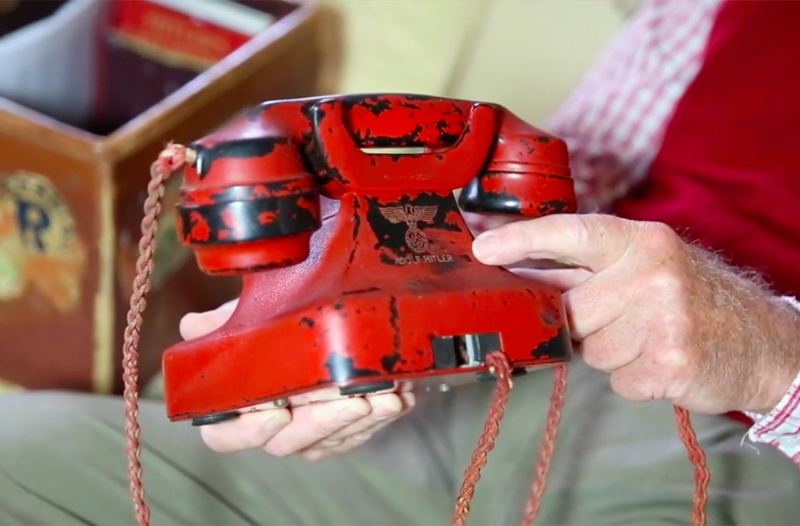 If you have hundreds of thousands of dollars and are extremely creepy, you can now buy a one-of-a-kind piece of history: Adolf Hitler’s personal telephone. Very likely the first non-Soviet victor to enter the city, Rayner went to the Chancellery where Russian officers offered him a tour. On entering Hitler’s private quarters, Rayner was first offered Eva Braun’s telephone, but politely declined claiming that his favorite color was red. His Russian hosts were pleased to hand him a red telephone - the telephone offered here. It would be impossible to find a more impactful relic than the primary tool used by the most evil man in history to annihilate countless innocents, lay waste to hundreds of thousands of square miles of land, and in the end, destroy his own country and people...with effects that still menacingly reverberate today. Bill Panagopulos, owner of Alexander Historical Auctions, says they tend not to attract neo-Nazis trying to buy Nazi memorabilia, because “they’re simply too uneducated to understand it,” and they tend to want “their own symbols” rather than historical Nazi gear. In fact, he says a large percentage of their customers are Jewish, “because they understand the importance of preserving” such artifacts. That’s encouraging to hear, because the auction house is selling a number of other disturbing items: metal tattooing stamps, the kind that were used to tattoo inmates at Auschwitz (though Panagopulos says these weren’t necessarily actually used at the camp), and several Hitler Youth items, including slides from an antisemitic slideshow and a Hitler Youth knife. According to Panagopulos, Rayner is selling the phone because the insurance costs were high, and hopes a museum will purchase it.